The Eixample district not only is the most iconic in Barcelona, it’s also the most diverse in terms of shopping, restaurants and nightlife. The gridlike layout is the symbol of the sunny and modern Barcelona we know today. Before the walls of the Old City quarter were demolished, small towns were scattered across the surrounding countryside. With the arrival of the Industrial Revolution, the population grew dramatically and the Barcelona center didn’t have the best sanitary living conditions. In 1855, the City Hall called out for a public competition in order to solve the city’s need for growth. Ildefons Cerdà, a civil engineer, won the project for the Eixample (catalan word for expansion), a huge undertaking that would construct the new Barcelona. He envisioned a city with a high regard for the people’s need for leisure, health and social relationships. The main goal was making a better use of the space. Thus, he designed a grid-like pattern that would fill the area between the city walls and the surrounding towns. 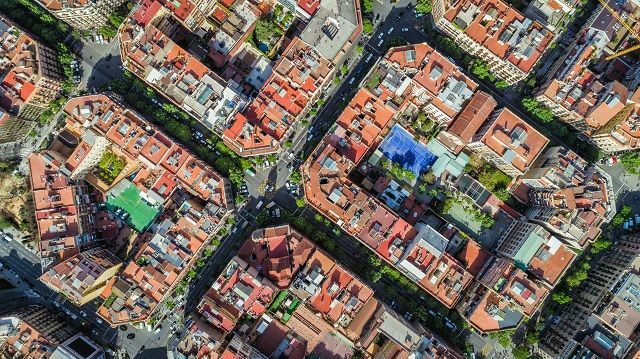 The Eixample is one of the most dynamic and confortable areas to live in Barcelona. Mainly because there’s always a restaurant, shop, supermarket or bar at walking distance. 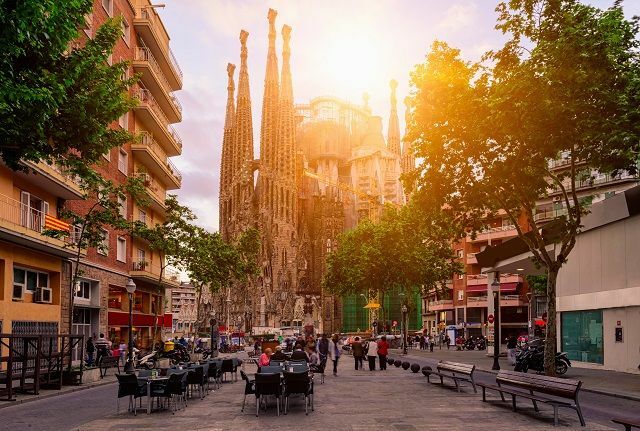 It’s considered one of Gaudi’s biggest masterpieces, the stunning basilica is one of the most striking monuments ever built in the world. 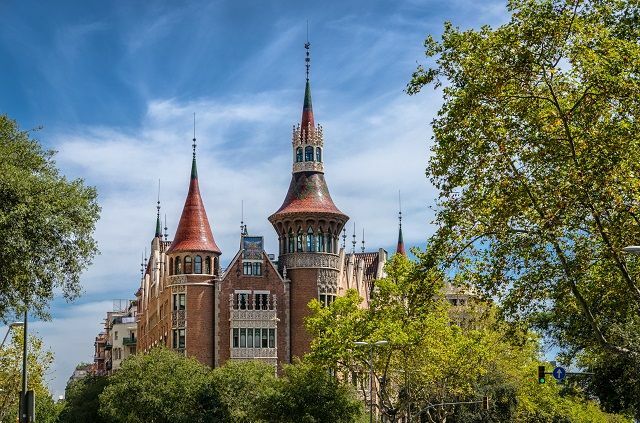 This peculiar building is one of the most famous icons of Barcelona. 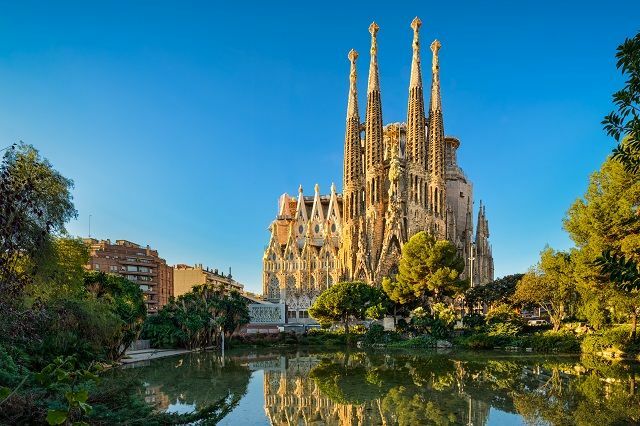 It was also built and designed by Antoni Gaudí, one of the driving forces behind the catalan modernista movement. 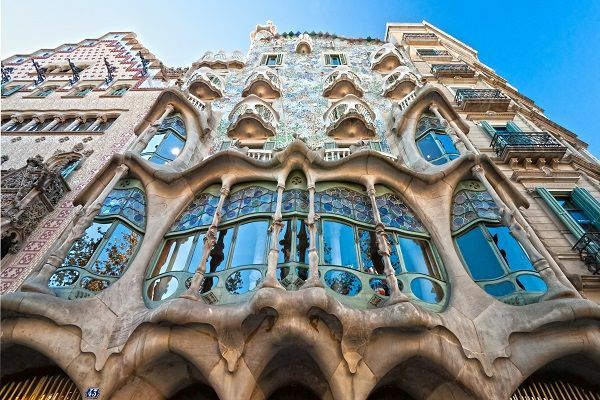 Casa Batlló was made world famous, also thanks to the creative force of Gaudi’s work. Nowadays, is one of Barcelona’s most important landmarks. This castle looking building is located very close to Passeig de Gràcia. A visit to this modernist masterpiece designed by Puig i Cadafalch is now possible. Dreta de l’Eixample. Some of the most important avenues and places in Barcelona are located in this neighborhood. Such as, Plaça de Catalunya, La Rambla, Passeig de Gràcia and Gran Vía. 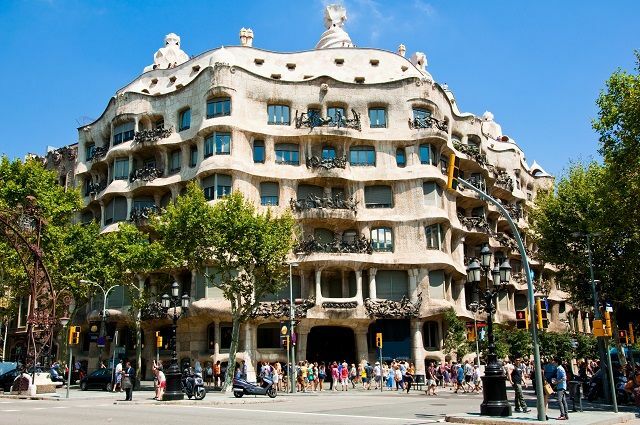 La Pedrera and Casa Batlló are located here as well. Sant Antoni. Centered around the modernista market of the same name, it has a good choice of cinemas, bars and restaurants. Nova Esquerra. Limits with Plaza España and Arenas shopping center. Antiga Esquerra. Walk along through Enric Granados street from Plaça Universitat to find lively bars and restaurants. Sagrada Familia. 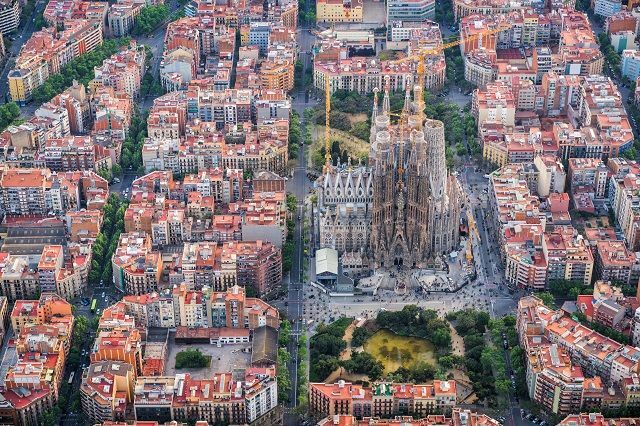 The iconic Sagrada Familia is the main monument of this charming vicinity. Fort Pienc. The iconic Arc de Triomf is located in this neighborhood. Although is not an official neighborhood, an area of this district is widely known as the Gaixample. Over the past two decades, the zone has seen the arrival of gay shops, restaurants and nightclubs. The area (located between Gran Vía, Balmes and Aragó streets), has become a magnet for gay tourism in Barcelona, resulting in the rise of several Gay friendly Hotels and a very extense offer of gay clubs and bars. Even so, the zone remains a multicultural and yet traditional neighborhood.